Upgrade every move you make in the intense space battles of X-Wing with the Deluxe Movement Tools and Range Ruler! 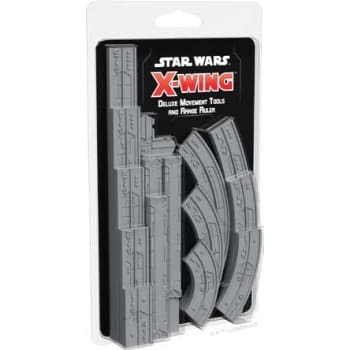 This pack contains premium plastic maneuver templates and a range ruler to upgrade the corresponding components from your X-Wing Core Set. In addition to the eleven movement templates, you'll also find a range ruler base and four range ruler segments that can be used individually or combined to make your measurements quick and precise.